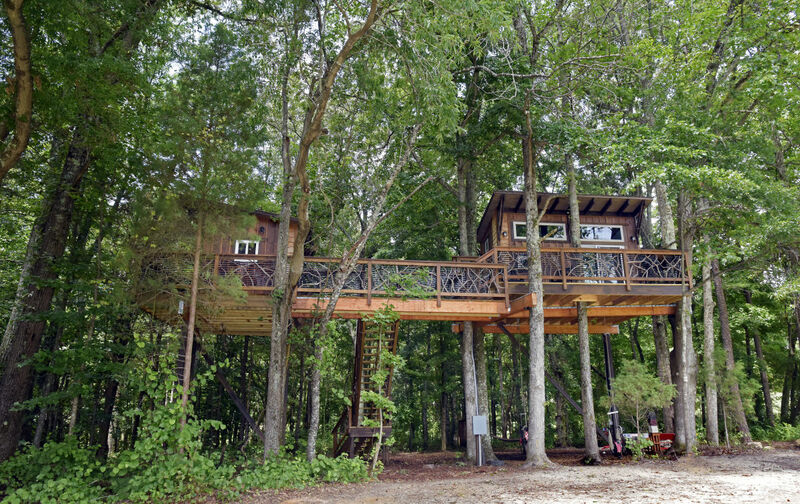 Part of the Cherry Treesort properties, "Big Nick" is a unique treehouse offering two separate houses to give renters the ability to accommodate more friends and also have private sleeping quarters at night. 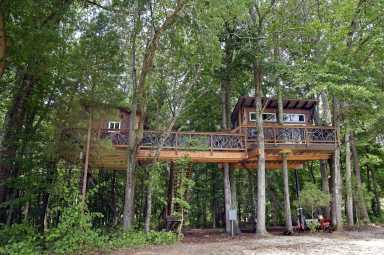 It's 25 feet up in the trees and has plenty of nature coming through and around the decks. This property accommodates eight guests with two bedrooms, one full bathroom, heat, air conditioning, a kitchen, television and more.